Gormleys Fine Art, Dublin are delighted to announce an exhibition of works by internationally acclaimed artist Damien Hirst. 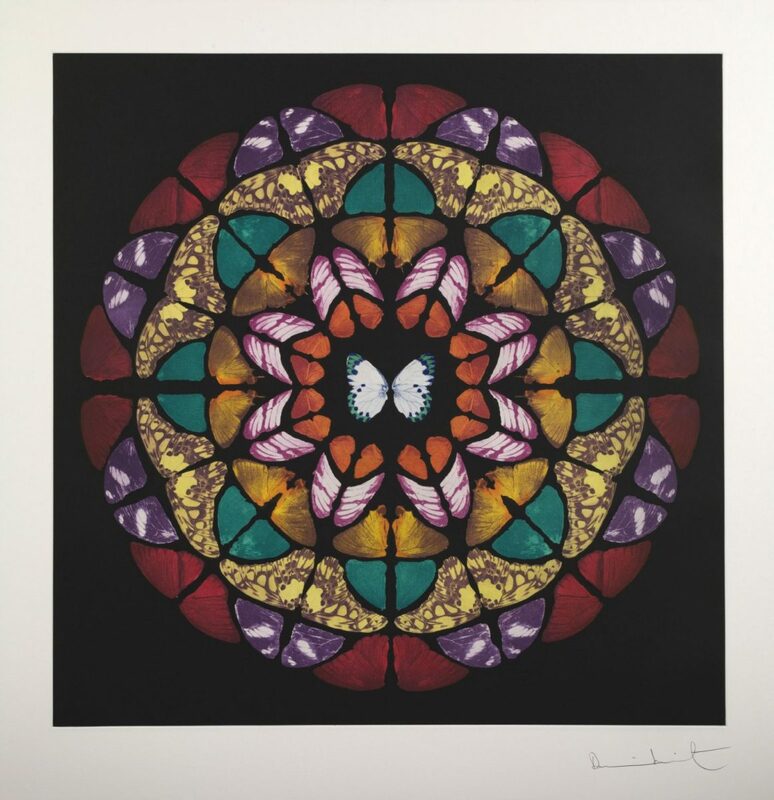 The show will feature a selection of original prints by Hirst created between 2005 and the present day. Damien Hirst first came to public attention in London in 1988 when he conceived and curated “Freeze,” an exhibition in a disused warehouse that showed his work and that of his friends and fellow students at Goldsmiths College. In the nearly quarter of a century since that pivotal show (which would come to define the Young British Artists), Hirst has become one of the most influential artists of his generation. Hirst’s best known works are his paintings and glass tank installations. His ground-breaking works include: Physical Impossibility of Death in the Mind of Someone Living, a tiger shark in formaldehyde and For the Love of God (2007), a human skull studded with 8,601 diamonds. In addition to his installations and sculptures, Hirst’s Spot paintings and Butterfly paintings have become universally recognized.